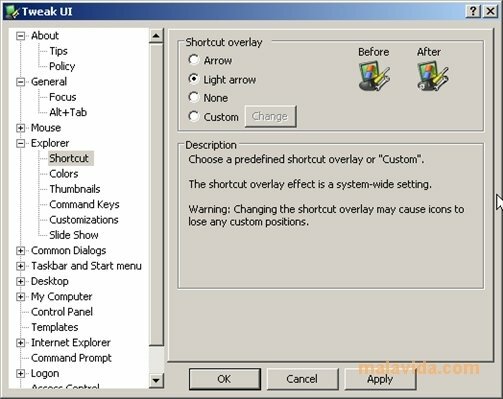 Microsoft PowerToys are small applications created by the developers to provide the Windows operating system with greater functionality. 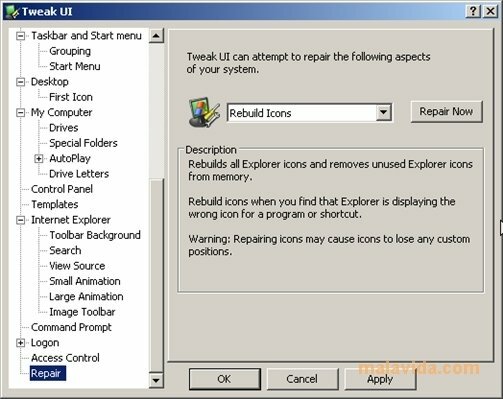 One of the best known and most useful PowerToys is Tweak UI. 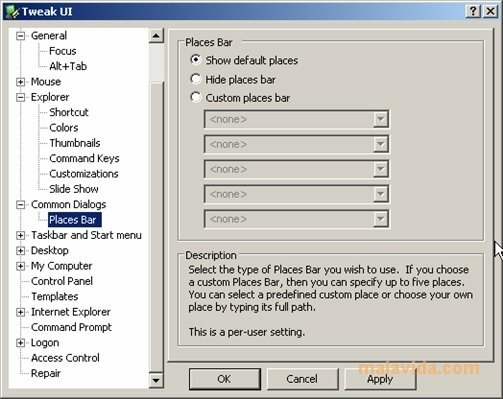 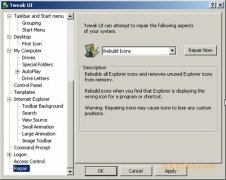 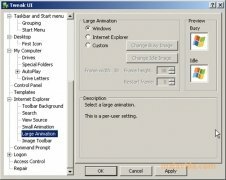 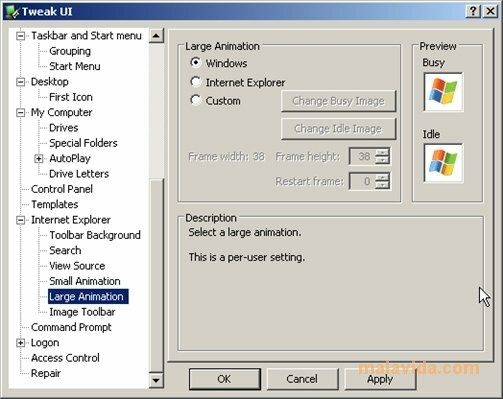 Tweak UI is an interesting utility that allows us to modify the configuration options of the Windows XP operating system, that can only be accessed through the Windows Registry, providing the user with greater control over the user interface and its options. 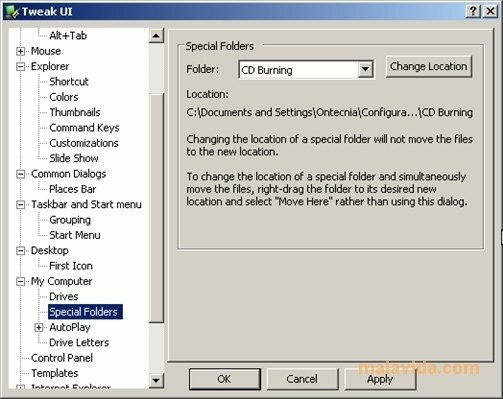 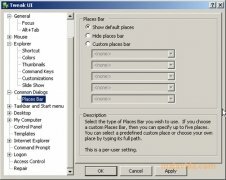 Thus, in a simple way it will be possible to modify the appearance of the desktop shortcut icons, the automatic playback options, the speed at which the menus open, the customization of the Start button,... And all this through the different tabs of the application, without having to carry out dangerous operations on the Windows Registry (that could damage your operating system). 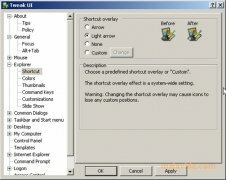 Modify your system's configuration to your own liking thanks to Tweak UI! 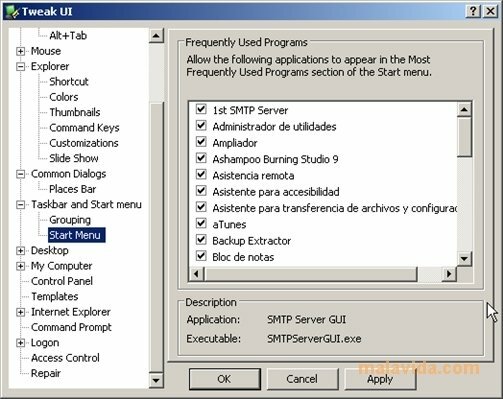 Requires Windows XP Service Pack 1 or Windows Server 2003.